1. Take out 23 Saltines from one sleeve of the Premium box. 2. Spread a medium size amount of peanut butter on a cracker and cover said cracker with peanut butter on it with another cracker. 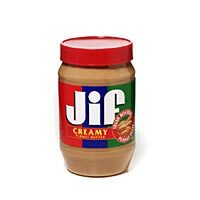 This creates a sandwich like effect with the crackers and peanut butter. 3. Repeat 9 more times. 4. 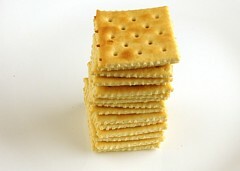 With the 3 crackers left, cover each individual one with peanut butter, and eat without covering it with another cracker. This delicious meal MUST be eaten with the addition of a carbonated beverage, preferably Diet Pepsi. If not, it will ruin the whole peanut butter crackers experience. If additional sustenance is required, I highly recommend Finding Nemo fruit snacks.